The Earl of Fife or Mormaer of Fife was the ruler of the province of Fife in medieval Scotland, which encompassed the modern counties of Fife and Kinross. Due to their royal ancestry, the Earls of Fife were the highest ranking nobles in the realm, and had the right to crown the King of Scots. Held by the MacDuff family until it passed by resignation to the Stewarts, the earldom ended on the forfeiture and execution of Duke Murdoch in 1425. The earldom was revived in 1759 with the style of Earl Fife for William Duff, a descendant of the MacDuffs. His great-great-grandson, the 6th Earl Fife, was made Earl of Fife in 1885 and Duke of Fife in 1889. The Mormaers of Fife, by the 12th century, had established themselves as the highest ranking native nobles in Scotland. They frequently held the office of Justiciar of Scotia - highest brithem in the land - and enjoyed the right of crowning the Kings of the Scots. The Mormaer's function, as with other medieval Scottish lordships, was partly kin-based. Hence, in 1385, the Earl of Fife, seen as the successor of the same lordship, is called capitalis legis de Clenmcduffe (=Lord of the Law of the Children of Macduff). The lordship existed in the Middle Ages until its last earl, Murdoch (Muireadhach), Duke of Albany, was executed by James I of Scotland. The first Earl of Fife was Alexander Scrymgeour (1254 -1306). Alexander served under William Wallace and Robert the Bruce. Was the official and hereditary Banner Bearer for the King of Scotland. Was awarded title of Earl and given the demesne of Fife for services rendered. The deputy or complementary position to mormaer or earl of Fife was leadership as Chief (ceann) of Clan MacDuff (clann meic Duibh). There is little doubt that the style MacDuib, or Macduff, derives from the name of King Cináed III mac Duib, and ultimately from this man's father, King Dub (d. 966). Compare, for instance, that Domhnall, Lord of the Isles, signed a charter in 1408 as MacDomhnaill. The descendants of Cináed III adopted the name in the same way that the descendants of Brian Bóruma mac Cennétig called themselves Uí Briain, although it does seem that at least initially MacDuff was a style reserved for the man who held the Mormaership of Fife. 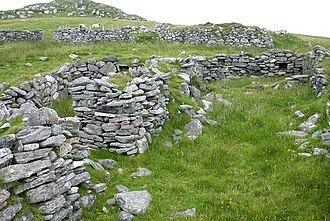 The chieftaincy of the clan was not always held by the mormaer, especially after the mormaerdom became subject to the laws of feudal primogeniture in the reign of Donnchadh I. For example, at the Battle of Falkirk, it is the head of the clan who led the men of Fife, rather than the Mormaer. The Macduff line continued without interruption until the time of Isabella, the only child of Donnchad (Duncan) IV, Earl of Fife, and his wife Mary de Monthermer. She succeeded her father as suo jure Countess of Fife on his death in 1358, making her one of the most eligible maidens in Scotland. 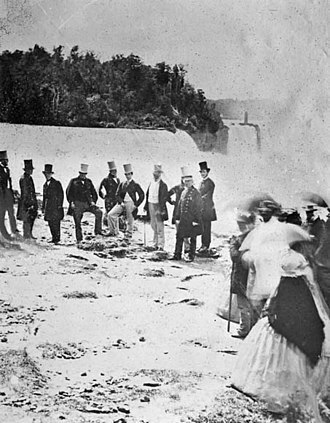 She married four times, but all her husbands died within a few years of their marriage. In 1371 she was persuaded to name Robert Stewart, Earl of Menteith (later Duke of Albany) as her heir, who was her brother-in-law by her second marriage to Walter Stewart. He thus succeeded her as twelfth Earl of Fife on her death in 1389. Duke Robert was succeeded as Duke of Albany, Earl of Fife, etc. by his son Murdoch in 1420. Duke Murdoch was forfeited and executed in 1425, due to his father's part in the death of Prince David, Duke of Rothesay. Thus the earldom of Fife came to an end. The arms of the earldom of Fife are or, a lion rampant gules, that is, a red lion rampant on gold. These arms are testament to the Earls' royal connection, as they differ to the King's arms only in the exclusion of the flowered border, or royal tressure; in fact it is possible that the royal arms are actually a differenced version of those of the Earl. The device of a lion is attested for the first time on the seal of the tenth Earl, but had probably been used for a long time before this, though some early seals show a different shield, bearing pallets or vertical stripes. The arms of the Earl of Fife are the basis for the arms of Fife Council, which show a knight on horseback in full armorial regalia, his shield, helm and the caparison of his horse bedecked with red lions. The Fife lion also appears in the first quarter of the Duke of Fife's arms. The earldom of Fife was resurrected in 1759 for William Duff, after he proved his descent from the original Earls of Fife. This title was in the Peerage of Ireland, notwithstanding that Fife is in Scotland; the "of" was also excluded, for reasons not ascertained. The title of Earl of Fife in the Peerage of the United Kingdom was created in 1885 by Queen Victoria for Alexander Duff, 6th Earl Fife (1849–1912). 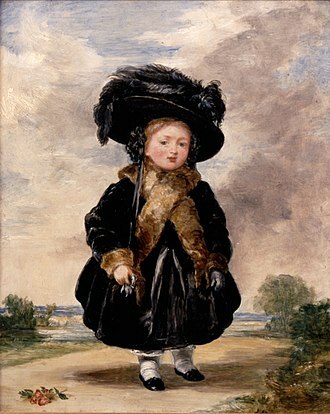 He married Princess Louise, the third child and eldest daughter of Albert, Prince of Wales, later King Edward VII; two days after the wedding, Queen Victoria elevated him to the dignity of Duke of Fife in the Peerage of the United Kingdom. 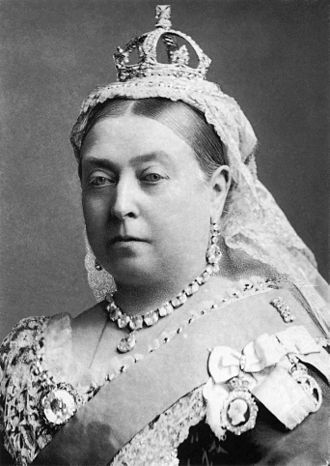 When it became clear that Alexander was not going to have a son, Queen Victoria created a second dukedom of Fife which could pass through the female line. After his death in 1912, the dukedom of Fife created in 1900 passed to his eldest daughter Lady Alexandra, while his other titles, including the 1759 earldom, became extinct. The fourth and current Duke of Fife is David Carnegie, is the grandson of Duke Alexander's younger daughter. ^ John Bannerman, "MacDuff of Fife" p. 24. ^ a b Patton, David (1977). Arms of the County Councils of Scotland. Port Charlotte: Argyll Reproductions Ltd.
^ MacDonald, William (1904). Scottish Armorial Seals. Edinburgh: William Green and Sons. ^ "Fife, Duke of (UK, 1900)". Cracroft's Peerage. 2013. ^ "No. 25490". The London Gazette. 14 July 1885. ^ "No. 25958". The London Gazette. 27 July 1889. Barrow, G.W.S. 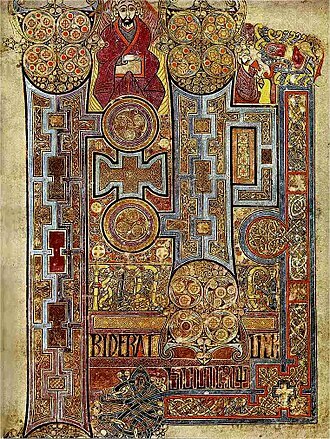 Earl's of Fife in the 12th Century, (Proceedings of the Society of Antiquaries of Scotland, 1952–53), pp. 51–61. Duke of Albany was a peerage title that has occasionally been bestowed on the younger sons in the Scottish and the British royal family, particularly in the Houses of Stuart and Windsor. The Dukedom of Albany was first granted in 1398 by King Robert III of Scotland on his brother, Robert Stewart, Albany was a broad territorial term representing the parts of Scotland north of the River Forth, roughly the former Kingdom of the Picts. The title was the first Dukedom created in Scotland and it passed to Roberts son Murdoch Stewart, and was forfeited in 1425 due to the attainder of Murdoch. The title was created in 1458 for Alexander Stewart but was forfeit in 1483. His son John Stewart, was restored to the creation in 1515. 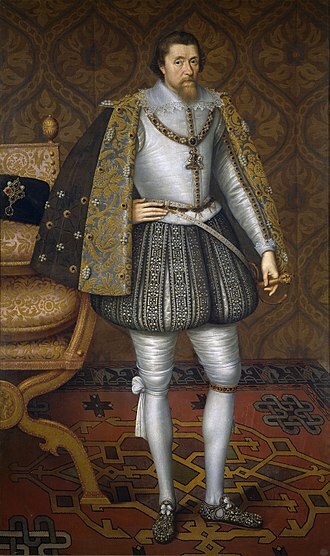 In 1541 Robert, second son of James V of Scotland, was styled Duke of Albany and that creation merged with the Scottish crown upon Jamess ascension. The title, along with the title of Duke of York, with which it has since been traditionally coupled, was created for a time in 1604 for Charles, son of James VI. Upon Charless ascent to the throne in 1625, the title of Duke of Albany merged once again in the crowns, the title was next granted in 1660 to Charles Is son, James, by Charles II. When James succeeded his brother to the throne in 1685. The cities of New York and Albany, New York were thus named after James, as he was the Duke of York and of Albany. The pretender, Charles Edward Stuart, gave the title Duchess of Albany to his illegitimate daughter Charlotte, the title Duke of York and Albany was granted three times by the Hanoverian kings. The title of Albany alone was granted for the time, this time in the Peerage of the United Kingdom, in 1881 to Prince Leopold. Prince Leopolds son, Prince Charles Edward, was deprived of the peerage in 1919 for bearing arms against the United Kingdom in World War I. Under the Titles Deprivation Act 1917, the lineal male heir of the 1st Duke of Albany was allowed to petition the British Crown for the restoration of the peerages. Because subsequent descendants have married in contravention of the Royal Marriages Act 1772, the last person eligible to do so was Friedrich Josias, Prince of Saxe-Coburg and Gotha, who died in 1998. Clan MacDuff or Clan Duff is a Lowland Scottish clan. The clan does not currently have a chief and is considered an Armigerous clan. The early chiefs of Clan MacDuff were the original Earls of Fife, the title returned to the MacDuff chief when William Duff was made Earl Fife in 1759. His descendant Alexander Duff was made Duke of Fife in 1889, the Clan Duff claims descent from the original Royal Scoto-Pictish line of which Queen Gruoch of Scotland, wife of Macbeth, King of Scotland was the senior representative. After the death of MacBeth, Malcolm III of Scotland seized the Crown and his son, Aedh was created Earl of Fife and abbot of Abernethy. The early chiefs of Clan MacDuff were the Earls of Fife, sir Iain Moncreiffe wrote that the Clan MacDuff was the premier clan among the Scottish Gaels. Today, the Earls of Wemyss are thought to be the descendants in the line of Gille Míchéil, Earl of Fife. Gille-michael MacDuff was one of the witnesses to the charter of David I of Scotland to Dunfermline Abbey. As a result, when she fell into the hands of King Edwards army, duncan MacDuff married Mary, the niece of King Edward, and threw in his lot against the Bruce. However, he was captured and imprisoned in Kildrummy Castle where he died in 1336, the Earldom fell into the hands of Robert Stewart, Duke of Albany, although the MacDuff family lost, their rank they continued to prosper. In 1384, the earl of Fife was described as capitalis legis de Clenmcduffe, in 1404, David Duff received a charter from Robert III of Scotland for lands in Banffshire. In 1626, John Duff sold the lands in Bannfshire which his ancestor had acquired in 1404, the title of The Fife returned with William Duff, 1st Earl Fife and Viscount Macduff in 1759. 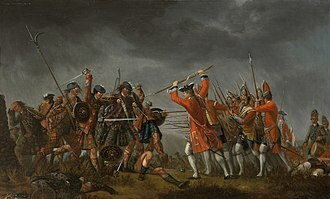 The 1st Earl of Fifes cousin, Captain Robert Duff of the Royal Navy supported the British-Hanoverian Government during the Jacobite rising of 1745 and was involved in the Skirmish of Arisaig. James Duff, 4th Earl of Fife fought with distinction in the Peninsular War where he was wounded at the Battle of Talavera in 1809 and was made a Knight of the Order of St Ferdinand of Spain. Donald, Lord of the Isles, was the son and successor of John of Islay, Lord of the Isles and chief of Clan Donald. 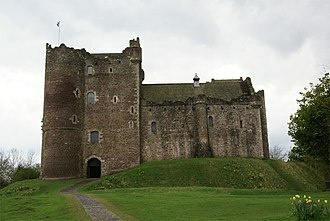 Donald was the grandson of King Robert II of Scotland and first cousin of King Robert III, he took pride in his royal blood, the Douglas kindred of southern Scotland and the Albany Stewarts had similar roles as Donald. Donald spent some of his first years as Lord of the Isles suppressing a revolt by his brother John Mór, John was Donalds younger brother, and resented his meagre inheritance. Although he was recognised as heir-apparent, he only received patches of land in Kintyre, the rebellion started in 1387 and went on into the 1390s, and John obtained the support of the MacLean kindred. However and the MacLeans were eventually forced to submit to Donald, there he entered the service of King Richard II of England and established a MacDonald lordship in Antrim. Suppression of the revolt enabled Donald to turn his attention northwards and eastwards. Most of the area to the north and east of the Lordship, the Stewarts had been building up their power in the central Highlands and north of Scotland since the death of John Randolph, 3rd Earl of Moray in 1346. Alexander had acquired control of the lordship of Badenoch, the earldom of Buchan and he had been appointed Lieutenant of the North, giving him the flexibility to exercise total control over most of Scotland north of the mounth. Alexander was at once the de facto ruler of northern Scotland as well as the means by which the crown itself exercised control, there had been complaints over the activities of his caterans. More importantly, Alexanders position had become threatening not only to the crown, but to the Euphemia I, Countess of Ross, her son Alexander and the titular Dunbar Earl of Moray. Late in 1388, soon after becoming Guardian of the Kingdom, Robert Stewart, the assault of Alexanders position continued into the 1390s. Donald and his brother Alexander of Lochaber were in a position to benefit. In 1394, the latter entered a 17-year agreement with the Earl of Moray, the MacDonalds were in possession of Urquhart Castle by the end of 1395, and had given control of the Duart Castle to Maclean of Duart. Lord Macduff, the Thane of Fife, is a character in William Shakespeares Macbeth. Macduff plays a role in the play, he suspects Macbeth of regicide. He can be seen as the hero who helps save Scotland from Macbeths tyranny in the play. The character is first known from Chronica Gentis Scotorum and Orygynale Cronykil of Scotland, Shakespeare drew mostly from Holinsheds Chronicles. Although characterized sporadically throughout the play, Macduff serves as a foil to Macbeth and these served as the basis for the account given in Holinsheds Chronicles, on whose narratives of King Duff and King Duncan Shakespeare in part based Macbeth. Macduff first appears in Holinsheds narrative of King Duncan after Macbeth has killed the monarch, when Macbeth calls upon his nobles to contribute to the construction of Dunsinane castle, Macduff avoids the summons, arousing Macbeths suspicions. Macduff leaves Scotland for England to prod Duncans son, Malcolm III of Scotland, Malcolm and the English forces march on Macbeth, and Macduff kills him. Shakespeare follows Holinsheds account of Macduff closely, with his only deviations being Macduffs discovery of Duncans body in 2.3, the Clan MacDuff was the most powerful family in Fife in the medieval ages. The ruins of Macduffs Castle lie in East Wemyss cemetery, Macduff first speaks in the play in act 2, scene 3 to the drunken porter to report to his duty of awaking King Duncan when he is sleeping for the night at Macbeths castle. When he discovers the corpse of King Duncan, he raises an alarm, Macduff begins to suspect Macbeth of regicide when Macbeth says, O, yet I do repent me of my fury / That I did kill them. Interestingly, Macduff’s name does not appear in this scene, rather, in 2.4 Macbeth has left for Scone, the ancient royal city where Scottish kings were crowned. Macduff, meets with Ross and an Old Man and he reveals that he will not be attending the coronation of Macbeth and will instead return to his home in Fife. However, Macduff flees to England to join Malcolm, the slain King Duncan’s elder son, meanwhile, visits the Three Witches again after the spectre of Banquo appears at the royal banquet. Princess Arthur of Connaught, 2nd Duchess of Fife, GCStJ was a granddaughter of King Edward VII and great-granddaughter of Queen Victoria. 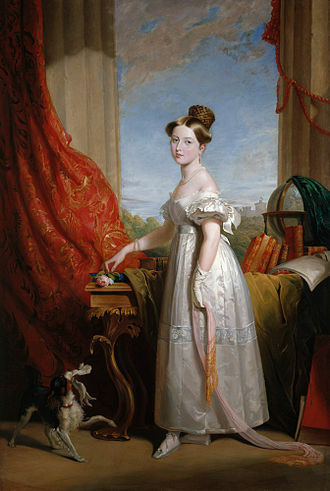 Alexandras father was Alexander Duff, 1st Duke of Fife, Princess Louise accordingly became the Duchess of Fife. Alexandra was born at East Sheen Lodge, Richmond on 17 May 1891, as a female-line granddaughter of the British monarch, Alexandra was not entitled to the title of Princess of the United Kingdom Great Britain and Ireland, nor to the style of Her Royal Highness. Instead she was styled Lady Alexandra Duff, as the daughter of a duke, on 5 November 1905, King Edward VII declared his eldest daughter Princess Royal. From that point, Her Highness Princess Alexandra held her title and rank, not from her ducal father, around 1910, Alexandra became secretly engaged to Prince Christopher of Greece and Denmark, a son of King George I of the Hellenes. The engagement was terminated when their disapproving parents learned of the liaison, as Prince Christophers father was a younger brother of Princess Alexandras maternal grandmother, the hopeful couple were first cousins once-removed. On 15 October 1913, Princess Alexandra married her cousin Prince Arthur of Connaught at the Chapel Royal, St. Jamess Palace, the brides attendants were, Princess Mary, daughter of King George V. Princess Mary of Teck and Princess Helena of Teck, daughters of Prince Adolphus, Princess May of Teck, daughter of Prince Alexander of Teck and Princess Alice of Albany. Prince Arthur of Connaught was the son of the Duke of Connaught and Strathearn, third son of Queen Victoria and thus a younger brother of her maternal grandfather. As such and Alexandra were first cousins once removed, after their marriage, Alexandra was referred to as HRH Princess Arthur of Connaught, in accordance with the tradition that a wife normally shares the title and style of her husband. With her husband, Alexandra carried out engagements on behalf of her uncle, King George V. She served as a Counsellor of State between 1937 and 1944, during World War I, Princess Arthur of Connaught served as nurse at St. Marys Hospital in Paddington. The dukedom of Fife was the last dukedom in Britain created for a person who was not a son, grandson or consort of the Sovereign. Alexander Duff was the eldest son of the 5th Earl Fife, upon his fathers death on 7 August 1879, he succeeded as 6th Earl Fife in the Peerage of Ireland and 2nd Baron Skene in the Peerage of the United Kingdom. In 1885, Queen Victoria created him Earl of Fife in the Peerage of the United Kingdom, the couple were third cousins in descent from George III. 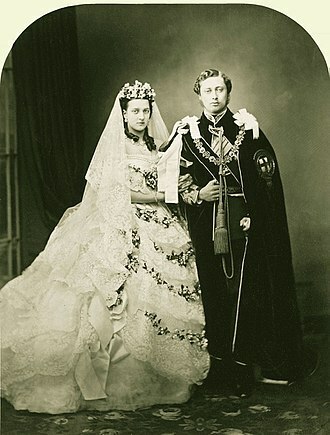 The wedding marked the time a descendant of Queen Victoria married a British subject. Two days after the wedding, the Queen elevated Lord Fife to the dignity of Duke of Fife and Marquess of Macduff, in the County of Banff. In the first creation of the dukedom of Fife, Queen Victorias Letters Patent of 29 June 1889 contained the remainder to heirs male of his body. As such and Alexandra were first cousins once removed and their only son, died in 1943. When the 2nd Duchess of Fife died in 1959, her hereditary peerages passed to her nephew James Carnegie, eldest son of her sister Maud and her husband Charles Carnegie, 11th Earl of Southesk. Thirty-three years later, in 1992, the 3rd Duke of Fife succeeded his father as 12th Earl of Southesk, upon his death in 2015, he was succeeded by his son, David, as fourth duke. 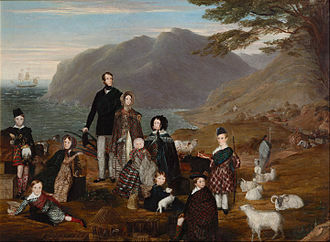 The heir apparent of the titles is his son, Charles Carnegie, the familys current main residence is Elsick House near Stonehaven, The Mearns, within the watershed of the Burn of Elsick. The first two holders of the dukedom are buried in St Ninians Chapel, from 1790 until 1809 and from 1827 until its extinction in 1857, the title of Baron Fife was held by the Earl Fife. In 1735, the title of Baron Braco was created for the 1st Earl Fife, the titles of Marquess of Macduff, Earl Fife, Earl of Fife, Viscount Macduff, Baron Braco, and Baron Skene became extinct along with the first dukedom of Fife. The titles of Marquess of Macduff, Earl of Fife, and Baron Skene are in the Peerage of the United Kingdom, whereas all the others are in the Peerage of Ireland. The subsidiary titles held by the present Duke are, Earl of Macduff, Earl of Southesk, Lord Carnegie of Kinnaird, Lord Carnegie, and Baron Balinhard. Seal of Murdoch's father, Robert Stewart, Duke of Albany. Murdoch's half-brother, John Stewart, Earl of Buchan, victor of the Battle of Bauge. 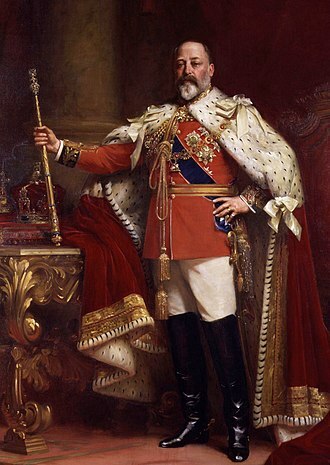 HRH Prince Charles Edward, the last person to hold the title, was deprived thereof in 1919. Louise with her daughters, Maud and Alexandra, ca. 1911. Braemar, Mar Lodge Estate, St Ninian's Chapel - Grave of Princess Louise, Princess Royal (1867–1931). The Duke of Fife tartan, first designed to celebrate the marriage of Louise, daughter of Edward VII, to Alexander Duff, 1st Duke of Fife. A romantic depiction of the Clan Forbes clan chief illustrated by R. R. McIan, from James Logan's The Clans of the Scottish Highlands, 1845.